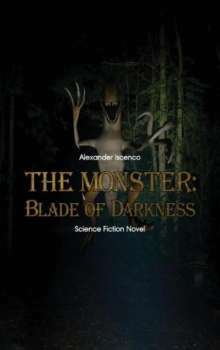 Der Artikel Alexander Iscenco: The Monster - Blade of Darkness wurde in den Warenkorb gelegt. Ihr Warenkorb enthält nun 1 Artikel im Wert von EUR 28,66. Travelling to a mysterious island in the middle of the ocean, trip to the jungle full of life, meeting the local tribe of Sololeadas, investigating of disappearance and death of people on the island, hunting an enigmatic dinosaur-like animal, experiencing romantic adventures and last but not least discussing about the Nature and its interrelations with mankind - all this awaits you in the first novel of "The Monster" trilogy by Alexandr Iscenco entitled "The Monster: Blade of Darkness". I hope you will enjoy reading it as I enjoyed writing it!